Kolkata doesn’t have any beaches, but there are multiple options in the vicinity of the city, with some of these being within West Bengal itself, and some in the neighbor state of Odisha. As Kolkata is a metro city, it offers good transportation to all these places, so you can visit the beaches anytime you want. Though it might be better to avoid going to these places during the monsoon, as there is not much to do and see during heavy rainfall. The shallow sand beach is located in a place previously known as Beerkul. It is divided into two sections, the Old Digha and New Digha. 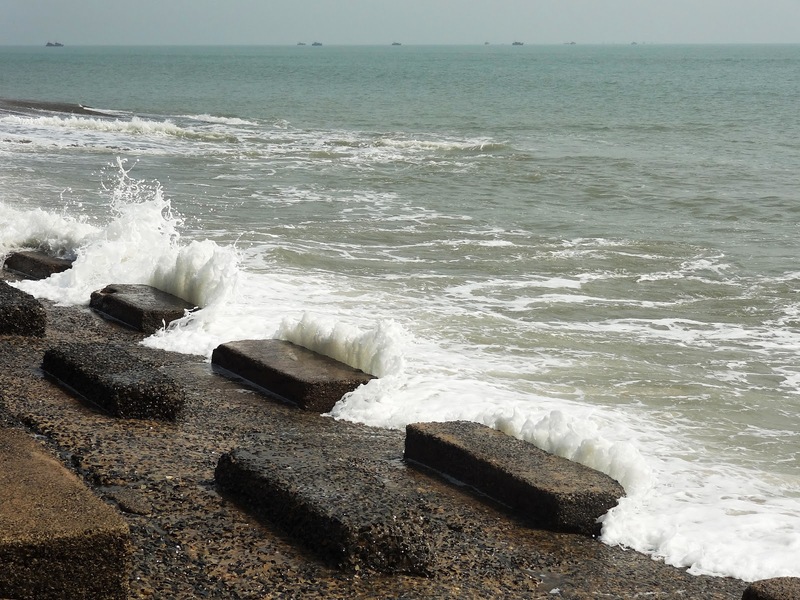 Old Digha is exposed to soil erosion so the government has placed concrete slabs through the length of the beach to protect it. This has turned the beach into a nice hangout spot with people sitting in these slabs for hours. On the other hand, New Digha is a man-made beach, situated around 2 km away from Old Digha. Taking a train from the Howrah Station is the most common option. There are multiple express trains (Howrah Digha Duronto, Paharia, Kandari, Tamralipta etc.) and one local train (Mecheda-Digha EMU Passenger) that can take you to the Digha Station (comes after Contai Station). It usually takes no more than 3-4 hours to reach. From there, you will find plenty of totos (small auto-like vehicle) and vans to hire for reaching your hotel (some hotels provide pick-up and drop facilities as well). Another option is the Kolkata to Digha a.c and non-a.c buses that depart from Esplanade and take you to either Old Digha Bus Stand or Digha Bus Stand. There are other routes as well from Garia, Barrackpore, and Barasat. You can book the tickets online. 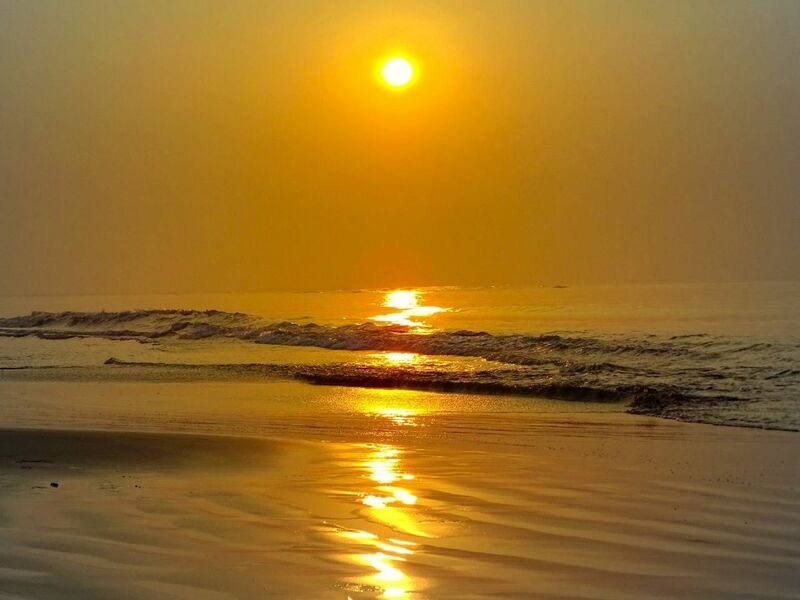 Watch sunrise and sunset from the New Digha Beach, and try tasty seafood snacks at the beach. 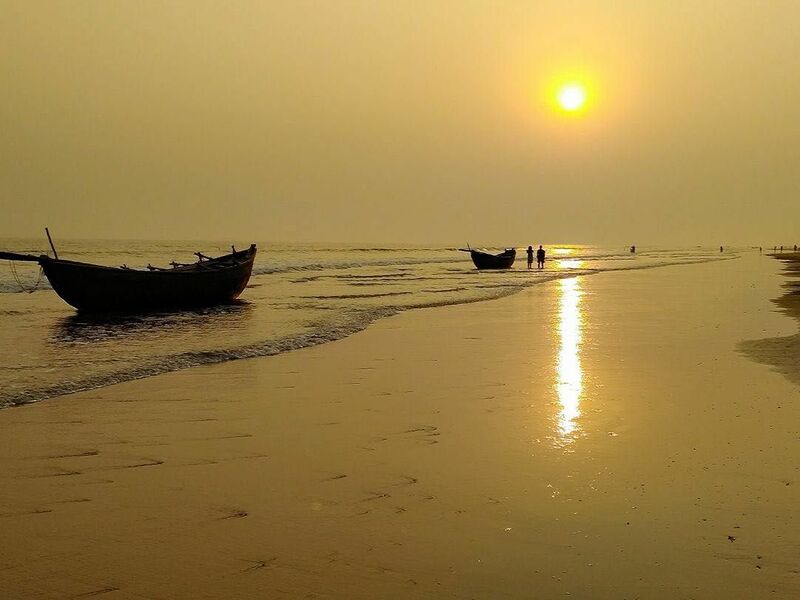 Since Digha is a small place, you may hire a toto or just walk a little, and take a rickshaw whenever required, to visit all the attractions within the city, like the Marine Aquarium and Regional Centre to see the largest inbuilt aquarium of India, and the Amravati Park for boating and bird watching. Shop at Nehru Market (Old Digha) selling all sorts of seashell jewelry and handicrafts and dry fruits especially cashew nuts. Digha Science Centre & National Science Camp is another place for a fun educational day-out. 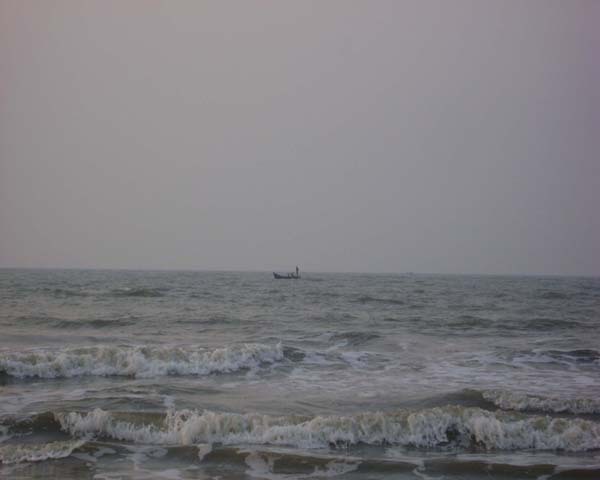 In the district of East Midnapore, this is a long stretch of beach along the Bay of Bengal. Other than the scenic beauty of the sea and its estuary or ‘Mohana’, the budding coastal resort doesn’t have much else to offer. From Howrah station, there are express trains (Howrah Digha Duronto Express, Kandari Express, and Tamralipta Express) that will take you to Mandarmani’s nearest station, Contai (Mandarmani doesn’t have a station). From there you will get many private cars to reach Mandarmani. There are regular govt. and non-govt. bus services which usually depart from Esplanade (in central Kolkata ) and take you to Chowlkhola bus stand in Mandarmani. From there, tempos and cars are available for giving you a ride to your resort. While the tempo charge will be around Rs. 15-20 per head, cars might charge around Rs.150. You may also hire a car and reach Mandarmani via Vidyasagar Setu, Kolaghat, and Nandakumar within the same time. Whichever way you choose, the entire journey takes around 3.5-5 hours. Apart from visiting the beach and taking a dip in the water, you can go for banana boating and speed boating; your hotel can provide you with details regarding these activities. In the early morning, horse riding is another thing to opt for. Visit the estuary or Mandarmani Delta filled with red crabs and find various fish markets along the way. Ask your resort or hotel for arranging a car or a toto to take you to the ‘Mohana’ and Digha. You can get a toto from their local terminus as well. Freshly-caught, as well as dried or ‘shutki’ fish, is up for sale, which sellers pack you in a certain way that is suitable for staying in the exact condition for 6-7 hours. There are some shacks alongside the beach selling fried seafood like pomfrets and prawns. Driving on the beach is strictly prohibited due to some mishaps in the near past, and so is bathing during the high tide. If you want to swim, go to the beach in the morning before 9:00 am and return within 10:00 am before the tidal waves begin. You may go down into the water again post 03:00 pm when the tides start to ebb. Although make sure to ask about the exact times of the tidal waves, as they may vary a little according to seasons. The hamlet of Bakkhali is located on a deltaic island of West Bengal. Since the place is believed to have been discovered by the Lieutenant Governor Bengal, Mr. Andrew Fraser, one part of it is named after him as Frasergunj. The distance between the beaches of Bakkhali to Frasergunj is only 7 km. From Sealdah Railway Station, take any train that goes to Namkhana as Bakkhali doesn’t have a station. From the station, you need to hire a van and reach Hatania-Doania creek. There you will find many small boats that will take you across the creek, near the bus stand. From there, take a bus and reach Bakkhali. You may also opt for Govt. and Non-Gov. buses that leave from Esplanade and drop you at either Namkhana Ferry Ghat or Bakkhali Bus Stand. If you get off at Namkhana Ferry Ghat, you need to cross the Hatania-Doania creek in a vessel. Overall it takes around 5-6 hours. Another commonly used way is to drive via Diamond Harbor road. The road remains the same, at the ferry, but you have to carry your car on a vessel for reaching Bakkhali. In the early morning, the Diamond Harbor road has less traffic so you might reach faster. Take a rickshaw and visit the ruins of Mr. Fraser’s house, and see the windmill in Frasergunj. Travel around 15 minutes more to reach Henry’s Island, a picturesque beach with clear blue water and dense mangrove forest. The Sundori Complex and its watchtower offer a panoramic view of the surrounding. You may buy fish from the local fishermen as well and get them cooked at your hotel (many hotels offer such facilities). 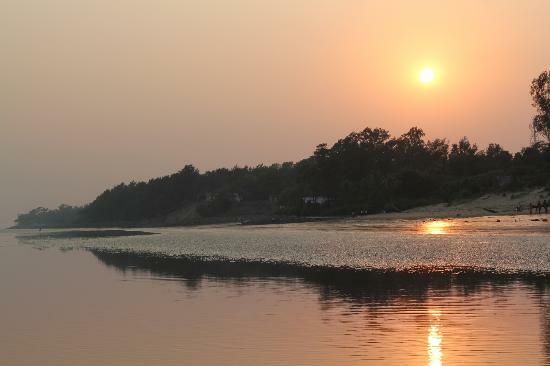 From the ferry ghat you will get rental motorized boat to reach Jambu Dwip that is accessible only for a few months of the year year, as it remains submerged in water for the rest of the time. Try to return from the beaches of Henry’s Island and Bakkhali before the sunset as the places become barren and are not safe for wandering after dark. Due to their proximity to Kolkata, it can even be visited within a day. Also, keep cash at hand as local vendors might not accept credit cards. For staying overnight, Bakkhali has budget-friendly hotels. 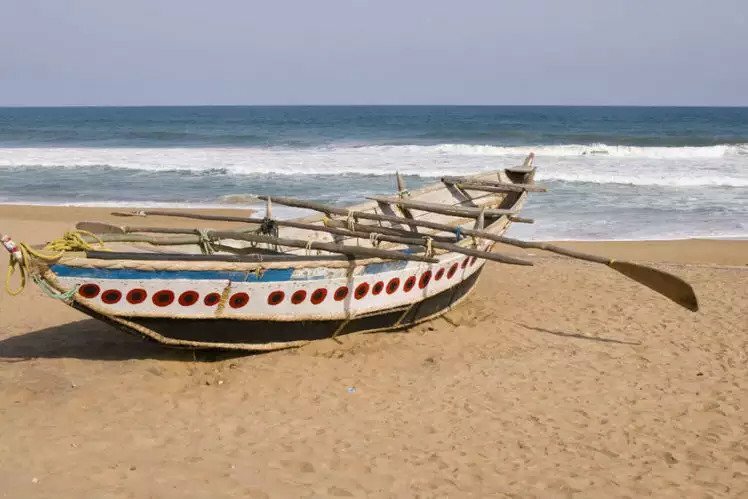 Located in the Baleswar or Balasore district of Odisha, the small seaside resort is known for its receding waterlines that go back around 5-6 km, apparently vanishing from sight during low tide and then coming back at the time of high tide. This phenomenon occurs twice daily. The beach is also important for the Defense Research and Development Organization or DRDO. From Howrah, you can get on any Puri bound train (Howrah Puri Express, Howrah Puri Passenger, Dhauli Express) or selective trains that go to Chennai (like Coromandel Express ) and get off at Balasore station as Chandipur doesn’t have its own station. The train journey will take around 3-4 hours. You will get buses, autos or taxis from Balasore station for reaching the beach. From the station, the beach is around 14 km away and it takes around 30-45 minute to reach. You can also hire a car and go to Chandipur, but that is an extremely long journey, so people usually prefer the train. During low tide, walk on the seabed but return before the high tide. Local people can help you learn the exact times when the water recedes and returns. You might spot horseshoe and red crabs on the beach. Also, visit the Budhabalanga River Estuary, (maximum 30 minutes of walking), and try pomfret and prawn items cooked in authentic Odishi style available at seaside shacks. The beach is not well maintained, and many tourists find the lack of cleanliness an issue. Also, this place is not suitable for bathing, so just utilize your time to enjoy the scenic casuarina trees far off and spend a few hours away from crowded places. The budget-friendly hotels further make the place a wonderful destination for a weekend gateway. This calm beach, in between Digha and Mandarmani is frequented by tourists, with most people staying here for a day or two. The land of Tajpur is known for pisciculture. The best way is to board any bus that goes to Digha from Kolkata. Get off at Balisai and take a cab from there to reach Tajpur. It is better to book the cab before boarding the bus as getting a cab on-spot may be difficult. Or you may get off at the Digha Bus Stand and take a cab from there. Another good option may be to go in a car, via Vidyasagar Setu, Kona Expressway, NH-16, and Kolaghat. From the Kanthi-Digha Road, there is a left turn that will take you to Balisai. From there the beach is hardly 2 km away. In Kolaghat and Mecheda, there are branches of some renowned restaurants where you may stop by for breakfast or lunch. The entire road trip might take 4-4.5 hours, depending on the driving speed and traffic. Trains, though available, are not a popular choice to go to Tajpur. But if you want, take any train going to Digha (Kandari express, Pahria express, Duronto Express, and Tamralipta express) and get off at Ramnagar station. From there book a cab, preferably a pickup facility through your hotel. Besides roaming at the beach and seeing red crabs, visit the fishermen’s village and buy seafood from the beach. There are some organizations that arrange paragliding for tourists. Contact your hotel to find out about such activities and their cost. Tajpur doesn’t have many hotels so, you may opt to stay at either Mandarmani or Shankarpur, and visit the Tajpur beach. Carry a water bottle along with you as there are not as many shacks at the beach as in Digha or Mandarmani. Moreover, don’t stay at the beach long after sunset as it may not be safe. Udaipur Beach falls between Talsari and New Digha. The virgin beach is home to countless red crabs like the other nearby beaches. The best way is to reach Digha first, either by bus or train. From Digha Bus Stand, take a rickshaw or a ‘bhatbhati’(motorized van) which might charge Rs. 60-100 to take you the 3 km way to reach Udaipur. If arriving by train, take a bus to New Digha from the station, and get off at Udaipur petrol pump. From there you need to walk around 5-10 minutes to reach the beach. Most people visit Udaipur during their trip to Digha, Mandarmani, or Shankarpur. You can take a walk at the mouth of the Subarnarekha River, preferably early in the morning. Taste Hilsa, Bheki, Jumbo Prawns, and Crabs at local stalls near the beach. You can buy fresh fish from the stalls and let them cook it for you at affordable rates. Coconut water and wafers are sold extensively near the beach. Banana boating and parasailing are some of the main attractions here, though you need to talk to the local authorities for details as they may not be available all year. Hiring a bike and traveling to Talsari is another fun activity for a day. You can also stay at tents provided by West Bengal Tourism Development Corporation (WBTDC) costing around Rs.700-750 per night, inclusive of breakfast. Bookings can be done online. There is a resort nearby as well, with all the modern amenities for those who do not fancy camping at the beach. You have to book your room from its Kolkata office only. The beach might be cluttered with alcohol and plastic bottles in some parts. Also, wandering off on your own after dark may not be safe. 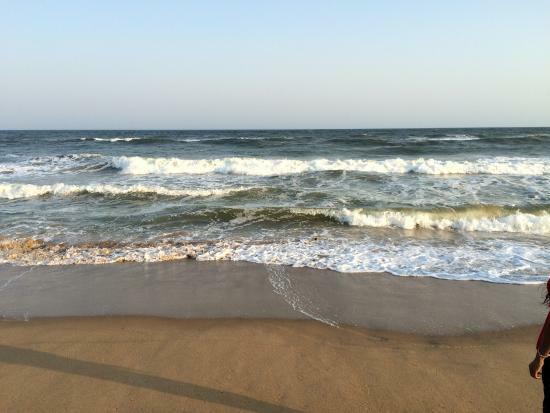 Situated in the city of Puri in Odisha, this is one of the best-known stretches of beach in entire eastern India. There is a sea facing boulevard here, with numerous hotels offering a view of the beach from the rooms. There are plenty of trains from Howrah, Sealdah, and Shalimar Railway Stations including Satabdi Express, Sealdah Puri Special, Kamakhya Puri Express, and Shalimar Puri Superfast Express that will take you to the Puri Station. From there you will get magic cars (toto-like cars) to your hotel or the beach within 20-30 minutes. Bathing is the most common activity here. 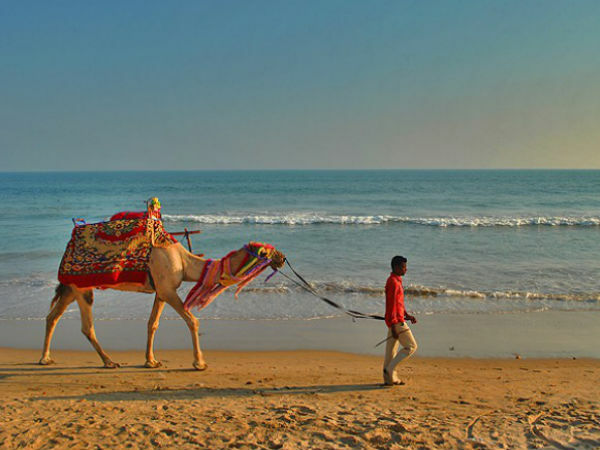 Camel rides are available on the beach, and you may bargain a little to get a good deal. Near the Swargadwar, famous sand artist Sudarshan Pattanaik exhibits his masterpieces for all. There are various food stalls on the promenade offering seafood, as well as numerous souvenir shops selling handmade gift items. In the evening, you can engross in hot tea in a paper cup, along with jhalmuri, a puffed rice infusion with spices, near the beach. Most people come here to offer puja at the Shri Jagannath Temple. Take a rickshaw to reach the temple, the earlier you can go, the easier it will be to get a glimpse of the deity and pray is peace for a couple of minutes as it gets extremely crowded later in the day. If you travel further towards Konark Beach, look for water sports organized by local authorities. In the month of November, there is an annual ‘Puri Beach Festival’ where you can see various authentic Odishi dance forms along with beach sports. Hotels and restaurants are abundant. You can also rent chairs on the beach for relaxing. As some of the beaches are closely connected to each other, you might consider visiting multiple of them within your vacation period. Also, for a budget-friendly accommodation, Digha has the most affordable hotels with Mandarmani and other places being comparatively costlier.